We're all too focused on smartphone design. The glass backs and fashionable colors of the latest flagships may be beautiful, but it doesn't matter if you never see the back of the device. The vast majority of Americans slap a case on their smartphones just after buying them, and rightly so. Let's take a moment to consider the mighty case, which does so much for us. Smartphone reviewers and fans alike tend to emphasize design as an important aspect of devices and obsess over even the smallest of changes, which often have little to do with practicality or ease of use. In the past couple of years, trends in smartphone design have tended toward fragility. 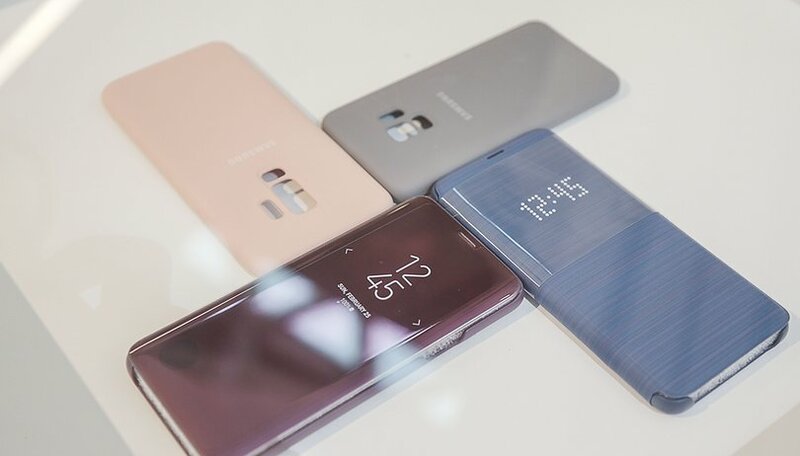 These fragile flagships are getting thinner and the material of choice for the body is glass, making cases more necessary than ever. The age of indestructible Nokia feature phones is long over. Today, one of the big stories in smartphone news is about an upcoming iPhone potentially introducing some new colors, like orange and blue. If this rumor turns out to be true, there's no doubt we'll see the same shades appearing on Android phones to come, given Apple's trend-setting power. But cool colors are just another pointless trend which fans, journalists and even manufacturers are focusing on for no good reason. Instead, we should be focusing more on cases. The look of a phone doesn't matter beyond the case. Some manufacturers do case design (and protection) better than others, and this should definitely be something you take into account before buying a phone. Check to see if there are high-quality cases available for the device you'd like to buy which reflect your style. A cool, functional case can be a deciding factor. For example, Apple makes very tasteful leather cases for iPhones which develop a great patina over time. If you're nostalgic about having a physical keyboard, a keyboard case may be a deciding factor when you buy a phone. Or, these unique Google Earth Live cases for the Pixel 2. Don't let the look and feel of something as personal as your smartphone be an afterthought. Cases are about more than just aesthetics, of course. They're for protecting your smartphone while you own it so you don't have to do any expensive repairs, and they're for protecting its resale value so you get money back when you're ready to upgrade. They can also have other convenient functions, like a pocket for your credit cards or a built-in battery to extend the life of your phone. Yet, when we evaluate phones, we pay more attention to the looks and cool colors, which serve no function at all. Do yourself a favor: when you're considering a new phone, forget about the color and materials. Focus on what's under the hood, so you'll be happy with the performance of your phone for longer, and spare a thought for the case options. Are you obsessed with smartphone design? Do you think about cases before you buy a phone? Discuss with us in the comments! The BLU Pure XL (from 2015) had a unique solution I have not seen elsewhere -- a flip cover that was attached to the back cover -- So the display was protected and the back cover was not covered and hidden. And that flip cover was included in the box the phone came in. I still use this phone, even though its OS is three generations old now. Love that flip cover, and wish other phone makers would provide one like it. It even has a little see-through window that shows notifications and the included music app. I loved my polycarbonite Nokia Icon ... it was a tank! (couldn't remove the battery, though, even 5 years ago) I'd be very happy with another "plastic" phone. Even though my Pixel 2 charges quickly, it would be handy at times to drop it on a wireless charger, like I could do 5 years ago (kept it for 4 years) with my Icon. Looking forward to seeing what's new with the Pixel 3! I agree. I don't care about the color or how it feels in my hand because I slap a case on it anyway. Besides, all phones are thin rectangular bricks. Can't change that basic shape. No matter how you slice it, it's still rectangular in shape. All I care about is whether or not it has the features I want. Just go back to fantastic plastic, it is lighter and more durable. Through in a removable batter, get rid of all the gimmicks. Then we will have great phones again like the Samsung Note 4, In my opinion the best phone ever made. AMEN AMEN! Flashy colors & exotic case materials make no sense (other than the excuse to charge more)...99% of users put them in a case.